Mt. Kilimanjaro (Uhuru Peak) is a dormant volcano situated in Tanzania. At 5,895m above sea level, it is the tallest free standing mountain in the world and Africa’s highest point. It is one of the Seven Summits and climbing it is a bucket-list item for many people. If you love camping and the outdoors, this trip may be for you. Climbing Mt. 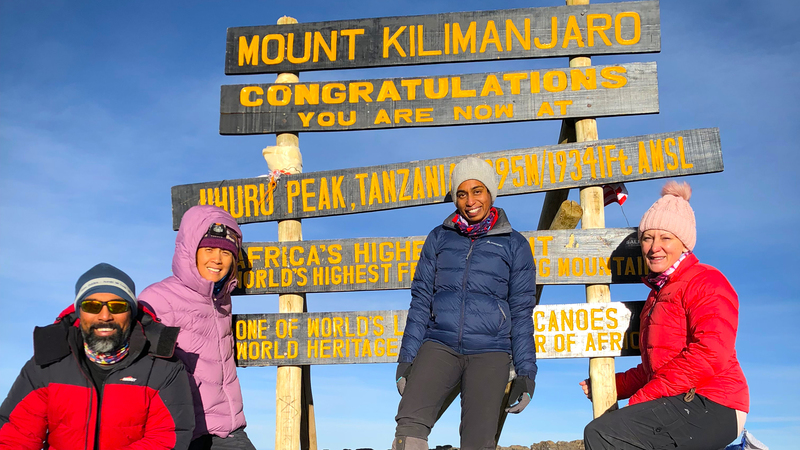 Kilimanjaro is challenging and those who make it to the summit are typically strong-minded, resilient individuals who can work through hardship. This summit has to be earned, so you’ll need to be in good health and commit to train for at least three months prior to going so that you’re at your peak fitness. There are many routes up Mt Kilimanjaro. Some are used for commercial trekking, whilst others are used by porters to re-supply teams already on the mountain, or for rescue purposes by rangers. 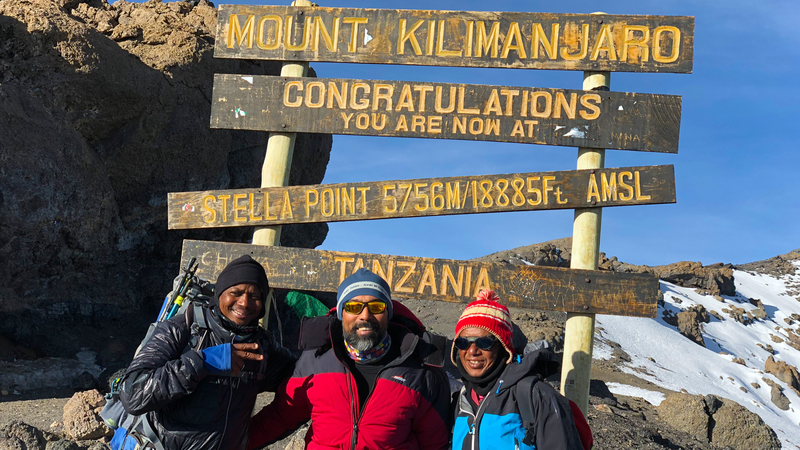 We will be guiding only the Machame and Lemosho routes as we feel they are the most scenic and yet challenging enough so that those who train diligently have a good chance of summiting. Success rate on these routes are reported as above 80% for the general population and for those who have trained in our high-altitude gym, it is 100%. Our guides are very experienced and have a wealth of knowledge to support your trek. They will ensure that you ascend at a safe rate and assist you with any matters before, during and after the trek to ensure that your trip is stress free. Our highly trained chef will provide you with arguably the best meals on the mountain. All meals are freshly prepared – our menu is decided upon depending on weather conditions and how the team is feeling. We can cater for special meals and have even provided fresh sushi / sashimi meals on the mountain! Our porters are well looked after and are fit for the difficult job of carrying loads. We strictly follow the guidelines of the Kilimanjaro National Park Authority for a maximum load of 20kg per porter. They make multiple trips up and down the mountain via supply routes to ensure that our chef gets fresh ingredients and to replenish our supply of water. 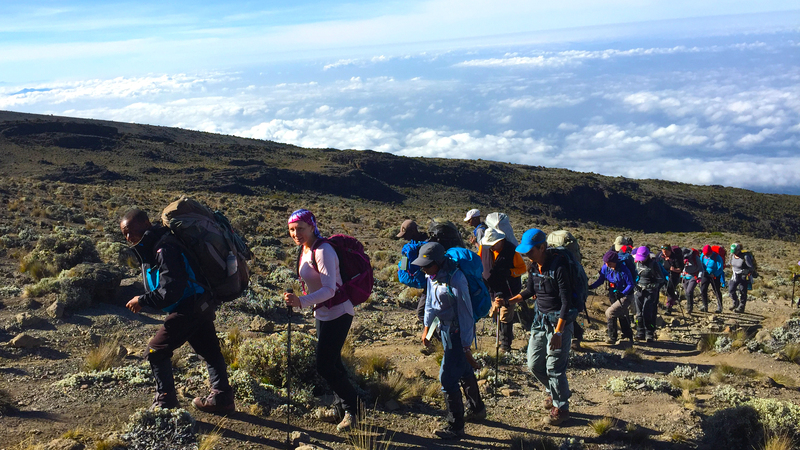 In addition, all our Kilimanjaro climbers have the opportunity to climb Mt Meru. 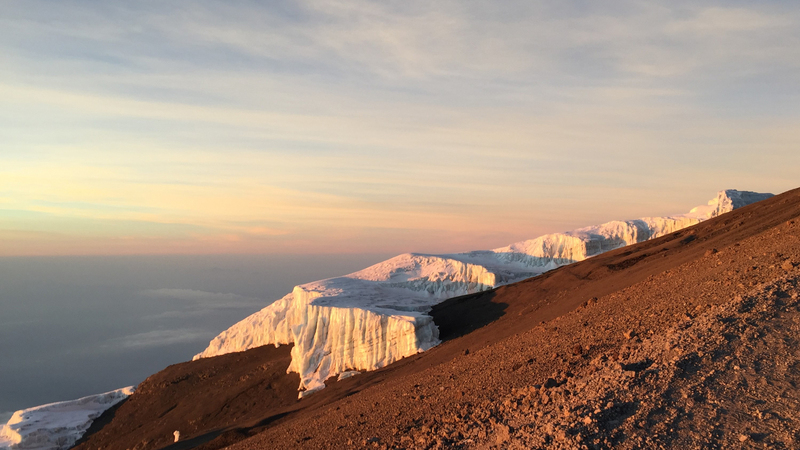 At 4,565m, this is another giant about a 70km west of Kilimanjaro – both mountains are visible from each other. It is a very popular mountain to pre-acclimatise for Mt. 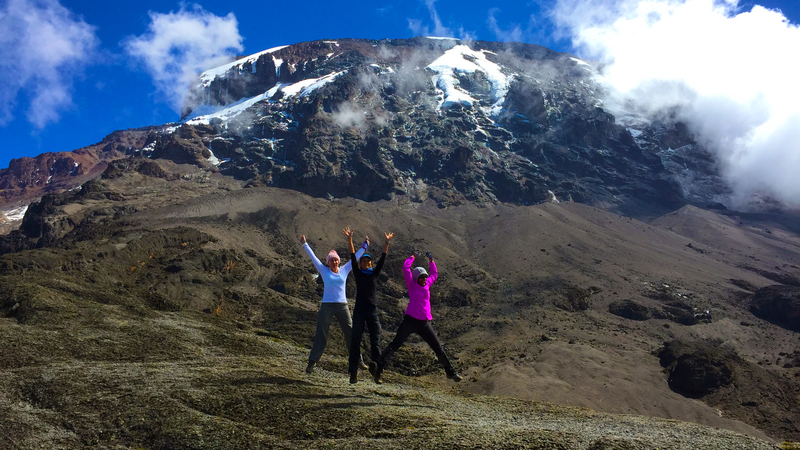 Kilimanjaro and a great climb on its own right. 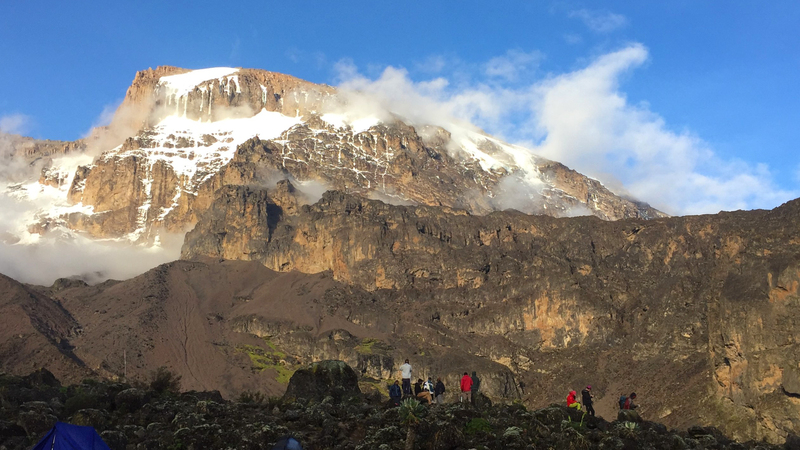 If you have chosen the ‘Out-of-Area’ service level, we especially recommend that you climb Meru to pre-acclimatise – success on Kilimanjaro is typically 100% if you’ve succeeded on Meru. This climb takes 4 days (3 nights camping) and we have one day’s rest upon returning before we head to Kilimanjaro. After the climbing trip, we suggest you take a day to relax in the area and consider going on a Safari. You may want to consider flying over to Zanzibar Island just off the coast of Dar es Salaam. We can put you in contact with all the right persons for these activities. Unsure of your fitness level? Talk to us… we’ll get you ready for this challenge.